Thank you for your interest in Best Resumes of New York (BRNY)! Are you frustrated with your current job, looking to explore better opportunities or seeking to change fields? Maybe you have a unique situation or lost your job because of a company merger or downsizing. Whatever the scenario is, you need a resume and I can help. I have worked with clients faced with all of the above. 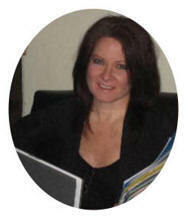 I am an award-winning Certified Professional Resume Writer and Managing Owner of Best Resumes of New York. 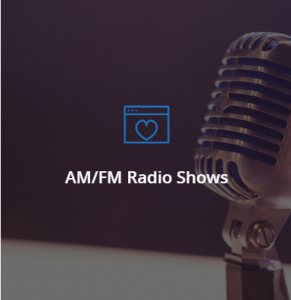 I have been servicing professionals from all industries and career levels throughout the Greater New York Area and literally around the world since 1993. I work conveniently by phone and am easy to reach. It’s mind boggling to think of all the emails I exchange with my clients. I do not even realize how many until I go to delete them after we finalize everything. I write as fluidly as I speak and am always willing to answer a question or to give a few words of wisdom and encouragement. I can be as warm as a blanket and both savvy and as down-to-earth as most native New Yorkers in the name of keeping it real in order to help my clients. YOU ARE IN GOODS HANDS . 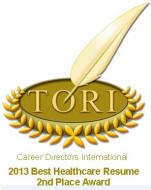 . .
Won the Toast of The Resume Industry award in 2013 for the Healthcare category. According to Laura DeCarlo of CareerDirectors.com, the average time it takes to earn a nomination is five years, and even longer to win. I won the first time I entered. I just wanted to prove it to myself that I could win! Served as the Second Vice President (SVP) and Executive Board Member of the National Resume Writers’ Association (NRWA) from 2003-2005. The NRWA is a 600 member-driven nonprofit organization. Board Members are voted in by the membership, worldwide. Prior to serving my term as SVP, I served as the organization’s Northeast Regional Representative. The culmination of my contributions earned me the respect of my peers and, at the time, one of few members who were honored with the Vivian Belen Award in 2004. The NRWA created the Vivian Belen Award to honor contributing members who have given selflessly to the organization, in many cases, without the “title” of board member (as mentioned, I was a regional rep at the time). Recipients exemplify everything the NRWA’s founder, Vivian Belen, believed in. The Vivian Belen Award winners continue to do her work to ensure that the organization follows the code of ethics she helped formulate, practices fairness and honesty, and continues mentoring and educating peers and colleagues. 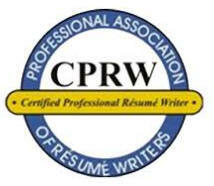 Earned my Certified Professional Resume Writer designation in 1998 by the PARW-CC – the pioneering organization for the careers industry founded in 1996. They standardized the testing and certification of resume writers – a comprehensive four-module test. I scored a 98! Published in 25+ Resume and Cover Letter books. Here are a few . . .